Jagjit Singh, the king of the ghazal songs world, passed away on Monday, October 10, 2011, at 8 am, in Lilavati Hospital on. He was 70. Jagjit Singh, was admitted to the Lilavati Hospital on September 23 after he suffered brain haemorrhage in suburban Bandra where a life-saving surgery was performed on him. He is survived by his wife Chitra Singh. He was born in Sri Ganganagar, Rajasthan. He had four sisters and two brothers and he is known as Jeet by his family. Jagjit Singh was popularly known as "The Ghazal King" he gained acclaim together with his wife, another renowned Indian ghazal singer Chitra Singh, in the 1970s and 1980s, as the first ever successful duo act (husband-wife) in the history of recorded Indian music. Jagjit Singh sung in several languages including Hindi, Urdu, Punjabi and Nepali. His popular ghazals and songs include, Meri zindagi kisi aur ki, mere naam ka koi aur hai, Apni marzi se kahan apne safar ke hum hain, Wo jo hum mein tumme qaraar tha, Patta-patta boota-boota haal hamaara jaane hai, Hoshwalo ko khabar, etc. He has also sung for popular movies like Sarfarosh and Tarqeeb. 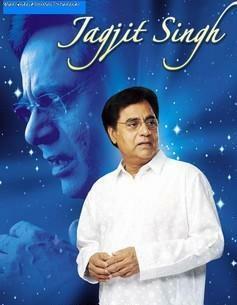 Jagjit Singh was born on 8th February 1941 at SriGanganagar in Rajasthan. His father Sardar AmarSingh Dhiman, a Government servant, originally hailed from Dalla village in Ropar district and his Sardarni Bachchan Kaur came from deeply religious Sokhi family of Ottallan village near Samralla. His siblings include four sisters and two brothers and he is fondly called Jeet by his family. Jagjit Singh did his schooling from from Khalsa High School at SriGanganagar. He passed his Inter in Science stream from Government college, SriGanganagar. He graduated in the Arts stream from DAV College, Jalandhar. He also acquired a Post Graduate Degree in history from Kurukshetra University, Haryana. His association with music goes back to his childhood days when he was twelve years old. He first learnt under Pandit Chaganlal Sharma for two years in SriGanganagar. After which for another six years he learnt under Ustad Jamaal Khan of Sainia Gharana, under whom he learnt all forms of Indian ClassicalMusic - Khayal, Thumri and Drupad and gained early recognition from his recordings at HMV and EMI India. He always had an open mind and was ready to learn from lesser known but talented musicians throughout his college days. He first learnt under Pandit Chaganlal Sharma for two years in SriGanganagar. After which for another six years he learnt under Ustad Jamaal Khan of Sainia Gharana, under whom he learnt all forms of Indian ClassicalMusic - Khayal, Thumri and Drupad. He reached Bombay in 1965 and his struggle from another wannabe to the pinnacle of Ghazal started. He lived as a paying guest and accepted every singing assignment that came his way - be it jingles for ad films or performing at weddings and parties. In 1967 Jagjit met Chitra who hails from a Bengali Shome family of Calcutta. Her mother, Krishna Roy, was a Classical vocalist. They got married in 1969. Jagjit Singh pioneered the ghazal wave in India in 1976, thus creating a new music genre with his debut album "The Unforgettables" with wife Chitra.